In the late 1970’s, when post-modernism in photography was born, two well-defined camps evolved, pitting straight (or traditional) photography against set-up (or conceptual) photography. These divisions were a point of contention. One could not only lose friends but also risk opportunities to be shown or published by identifying with one or another side. While the intensity of these disagreements might seem silly and romantic in retrospect, at a time when few galleries showed photography and publishing a book was rare, the limited opportunities to have one’s work seen heightened tensions over what might constitute a good photograph going forward. Photography of the present faces the stark realization that these old arguments over what a photograph could or should be no longer matter. Photographic theory has devoured itself. The internet, inexpensive printing, and self-publishing have provided a venue large enough for all practices, traditional or conceptual, to exist in a pluralistic scrum of democratic viewing. This has provided a diverse generation of photographers a platform to reach large audiences who are often unaware of the medium's historical infighting. This digital pluralism has led to an environment in which the discussion of work no longer begins with the artist declaring their conceptual camp, but rather with the visual quality of the image. Recently, photographers have been abandoning artist’s statements, allowing viewers to perceive their images free of context, so their success or failure depends on their ability to create an engaging visual language. There is no longer an academic argument for newness or an avant-garde so much as one for quality of visual thought. Works that in the recent past would be segregated by conceptual movements now appear next to one another in an open, chaotic exchange of ideas. Traditional photographs can rest comfortably alongside abstract still lives, next to photography as installation, next to work that embraces the medium’s technical flaws. Through this beautiful disorder, the entire medium has simultaneously died and been reborn, allowing contemporary photographers to once again work out what it means to be a photographer. Eli Durst was born and raised in Austin, Texas. After graduating from Wesleyan University in 2011, he worked at the renowned fine art printing studio Griffin Editions in Brooklyn while also serving as an assistant to street photographer Joel Meyerowitz. Eli received an MFA in photography from the Yale School of Art and is the winner of the 2016 Aperture Portfolio Prize. Lindsay Metivier is an artist and independent curator based in Boston, Massachusetts. She holds an undergraduate degree from Massachusetts College of Art and Design and is the proprietor of Aviary Gallery, an exhibition space with a digital photography lab. She’s currently pursuing an MFA in Studio Art at UNC Chapel Hill in North Carolina. Her work has been shown most recently at Midway Artist Studios, Dorchester Art Project, Door 3 Gallery, Stonecrop Gallery and the Nave Gallery. Her work has been featured on Humble Arts Foundation and A New Nothing. Erin O'Keefe is a photographer based in New York City. She received a Bachelor of Fine Arts from Cornell University, and a Masters of Architecture from Columbia University. Her background in architecture informs her work, which uses still life to explore spatial perception. Her work has been featured in solo and group exhibitions in the US and abroad. 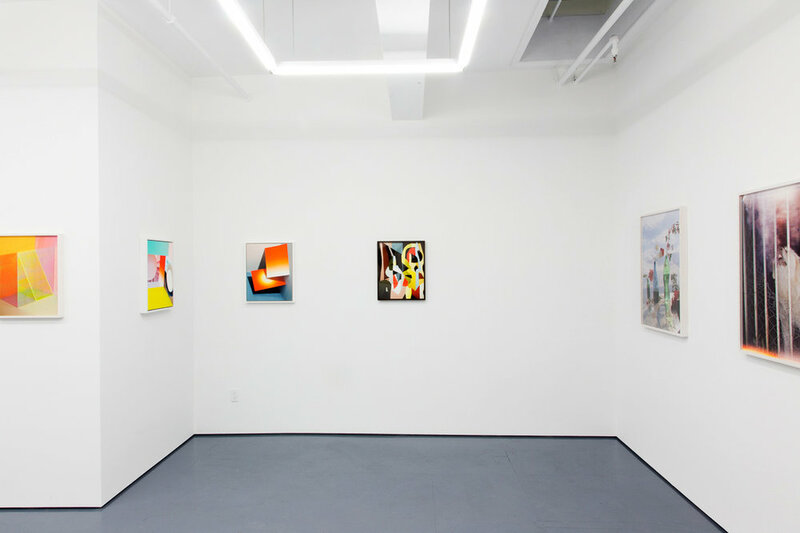 Most recently, she has had solo exhibitions of new photographs at the Denny Gallery in NYC, Platform Gallery in Seattle, and Gallery Jones in Vancouver. She was selected as one of Photo District News 30 Photographers to watch for 2015. Irina Rozovsky was born in Moscow, and raised in the United States. She makes photographs of people and places, transforming external landscapes into interior states. Her work has been published, exhibited, and awarded internationally. She is an assistant professor of photography at Massachusetts College of Art and currently lives in Boston.